My name is P. J. Weber. If you're looking for a high-energy show that will make the audience laugh, smile, ooh and ah, then you have come to the right place. My job is to make you look great for working with me. I am a full time professional entertainer. 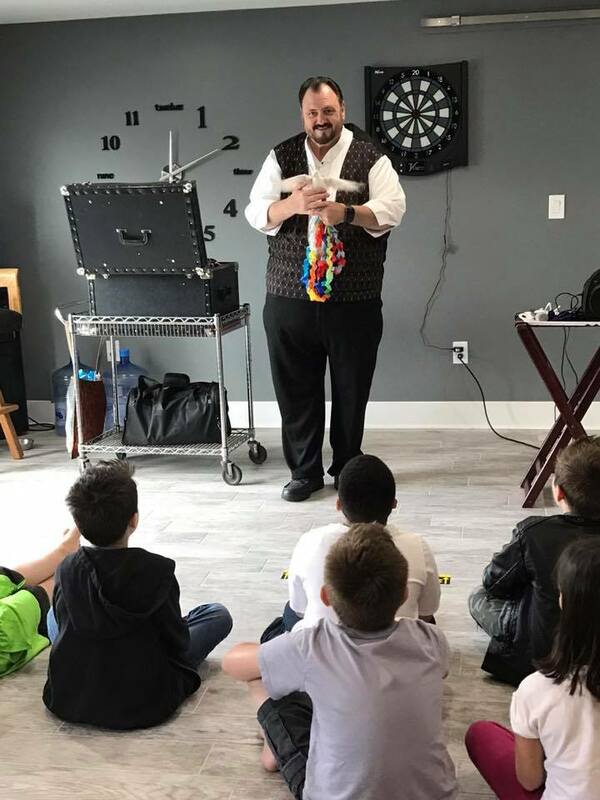 I do a unique blend of magic, comedy, illusion, juggling and balloon twisting. I have done Shows for Presidents Ronald Reagan, Gerald R Ford, Jimmy Carter, George H. W. Bush. In 1986 I had a show for Mikhail Gorbachev in Moscow! I love performing and working every day, so my prices are reasonable. He was such a hit, for the kids and the adults alike! We will definitely be booking him again in the future! Thank you so much. It was a joy to work with your people. I look forward to our next magical encounter. PJ arrived on time and was set up and ready to go when we needed him to. I appreciate his flexibility as the sound system provided by the venue was not working all that well. I appreciated that he was willing to announce things and events on his own personal sound system to let people know when things were going to begin. PJ's show was entertaining for all ages and I certainly appreciated his sharing the gospel at the end of his show through some of his tricks. Only thing I realized later was that he played his own music as background music prior to his show and it made it hard for the cookie walk carnival game participants to hear the music for the cookie walk. Overall, a great job! PJ Weber was great! He touched base with me after booking, confirmed details the day before performance- was on time and very personable. Our kids loved him! Entertainer was late and then spend another 5-10 minutes setting up while I had a room full of residents staring at him. He then cut the show 10 minutes early. He was funny and his tricks were ok. There was a fire drill so I sped up the ending. She was busy and missed a lot of the show. The residents were very receptive. P.J. did balloon animals as well as magic for our church community festival. Not only did he put on a great performance he spoke of bringing Jesus into your life, which we really were pleased with. He is an amazing magician, and a very special person to speak with, which I had an opportunity to do so after the show. I would recommend Mr. Weber to anyone with a love of magic. He will put a smile on your face and laughter in your heart. The kids and adults loved him. He was funny and very good. My daughter is already asking me to hire him for her birthday! Thank you so much for the amazing show! 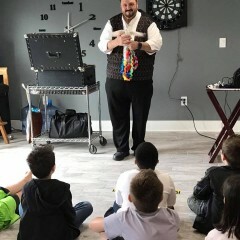 P.J performed a half hour magic show at my son's 10 yr's bday party. He was great and both kids and adults enjoyed the show very much. We booked him two days before our party. He was great kids loved him as well as adults. We will be using him again! Really, really enjoyed PJ Weber! He was great to work with and from the time he started until he ended only seemed like minutes because of how well he engaged the audience and kept us laughing. Would recommend him to anyone! 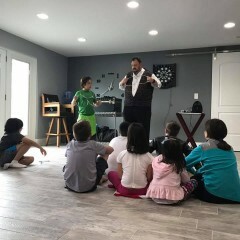 PJ Weber is a great magician for any kind of age group. 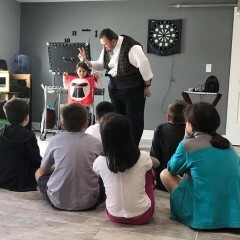 I recently used him for a kids party but the adults were just as impressed by his magic as young ones. He was on time and very professional. I would recommend him to anyone in need of magican or ballon twisting. We couldn't be happier with PJ. Weber. He was better than we could have hoped for. We would highly recommend PJ to other churches and kids programs. P.J. was very easy to work with to prepare for our school fundraising event! The school children swarmed around him as he interacted magically with each of them. 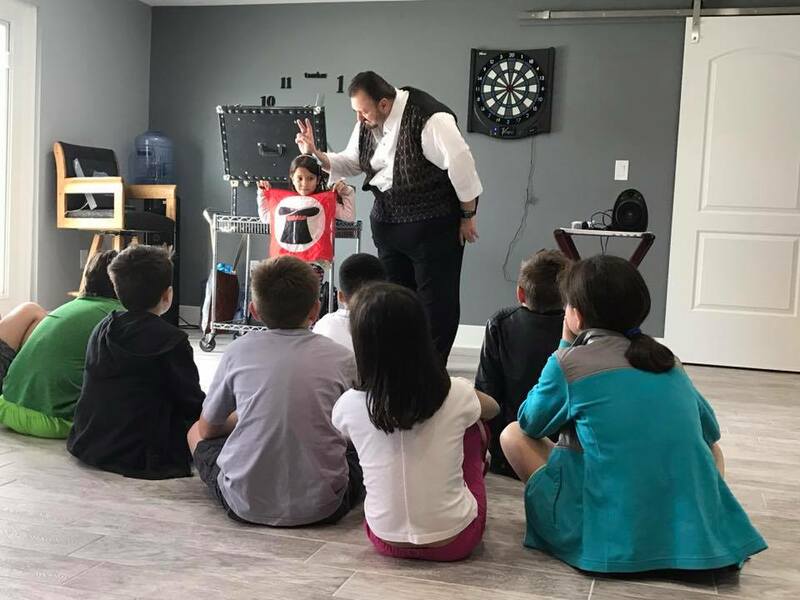 He drew a crowd of children and adults as he performed magic. He gave the crowd exactly what they wanted, and I will not hesitate to hire him again! He arrived on time, and was very pleasant to meet. P.J. did a fantastic job! He had a great crowd to please and he succeeded. We would love to have him again next year. Thank you P.J.! Weber's magic was fun and entertaining. He's stayed for the whole time entertaining kids and making balloon figures for them all the time. Even the adults also enjoyed the magic and balloons. We are glad to have him! What an excellent performer. PJ has perfected his act through years of performing all around the world. Thanks for a great show PJ. Thanks for putting on a great show for our employee dinner event last weekend! There were many excellent comments and everyone seemed to have a good time. PJ Weber was amazing. His show helped me make a great party. 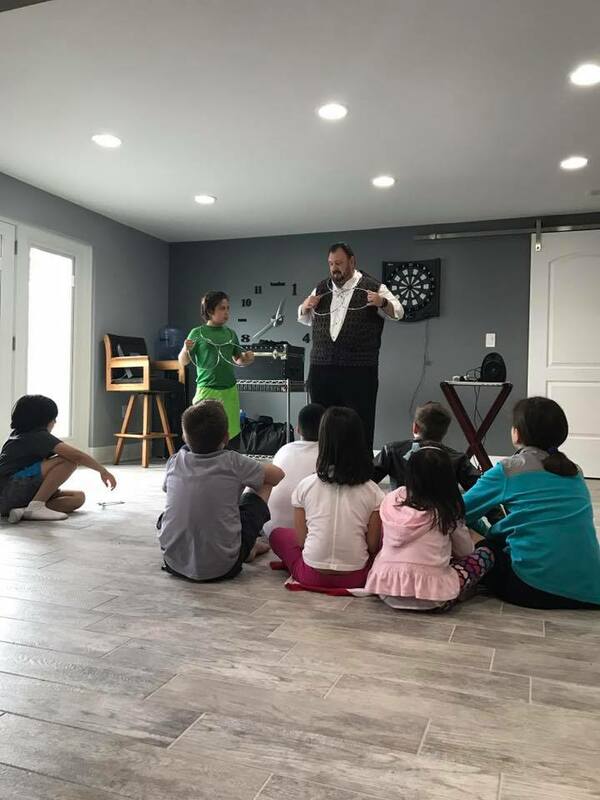 Children and adults alike were amused by his show from the very beginning with his jokes and magic tricks. Everybody laughed and had a great time. I was a little hesitant at first because my baby was just turning one, so I didn't know if the show would be more appropriate for older kids, but he sure knows how to work a crowd of any age. I totally recommend him. He was awesome. Thanks PJ! This was our 3rd time to book P.J. and the comments were once again very positive. P.J. has great stage presence. Our audience members range from age 60 to 100. He speaks clearly and makes lots of humorous observations geared toward an older crowd. Mr. Webber did such an engaging performance not just for the kids but for the adults as well. He was encouraging kids to participate throughout and the kids loved it. Although, I wish his spouse would have been more pleasantly involved while she was assisting Mr. Webber. But, Mr. Webber was so nice, and I think he made up for that. I would also like to mention that our some of the guests about 10mins late, but he was ok to wait until they arrived. P.J. Weber really is AMAZING! P.J. came and performed at a Banquet that was held at my church. He was so easy to work with when planning the event in the months before. He was on time, came with everything he needed and was very professional. His show was PERFECT for all ages! I highly recommend booking P.J. if you are looking for a fantastic magician to perform at any event! PJ came and performed for our church's Annual Valentine's Banquet and he was amazing. We loved every minute of his performance. He was punctual and polite. His magic was astounding. People are still coming up to me (weeks later) and telling me that they still can't figure out how he did it. PJ was funny but clean. His wife aka lovely assistant was a joy also. We greatly enjoyed having them at our event and you will not regret hiring PJ Weber for any event!